Multiple vines have collapsed, exposing the fruit, which leads to sunburn. Josh Freeman, associate professor of horticultural sciences at the University of Florida Institute of Food and Agricultural Sciences North Florida Research and Education Center, has been collaborating with the University of Georgia (UGA) to study the effect of fumigation on fusarium wilt incidence. There aren’t many management options for growers. The use of grafting is one, but it is expensive. A standard seedless plant might be 25 to 30 cents; a grafted plant is close to a dollar. Despite the positive results, Freeman says growers don’t want to spend the money on totally impermeable film because it’s more expensive. 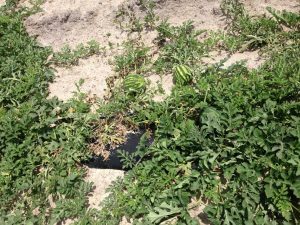 “Ten percent is generally what the cost differential is between low-density film, which is standard to the watermelon industry,” he explains. Freeman hopes to expand the fusarium wilt research project, in collaboration with UGA, with a federal grant. “Once we get another year of data, we’ll have a suitable solution. 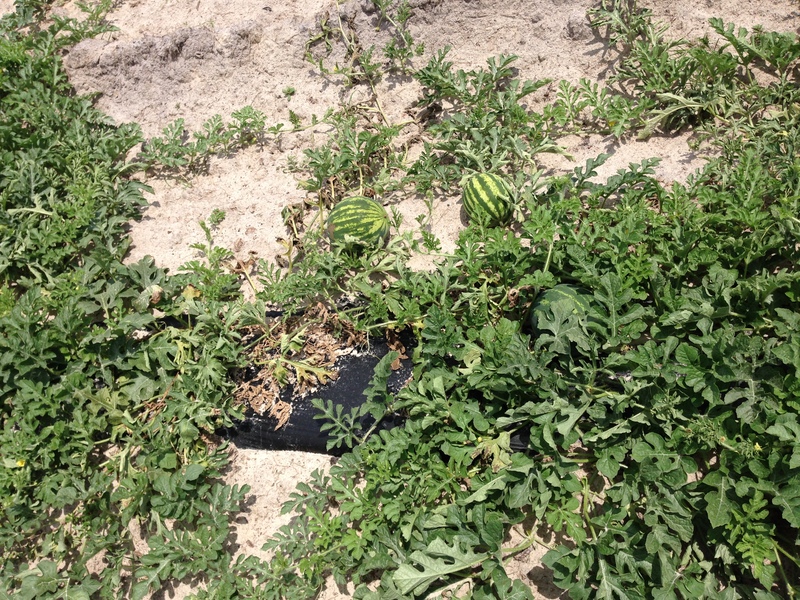 I think it will be an economical, sustainable solution that’ll be suitable for the watermelon industry,” he concludes.